How well do you know CSS? 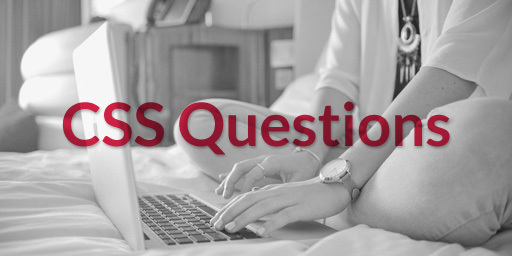 Test your knowledge by trying to answer the CSS questions in this post. There’s no time-limit or score-tracking. After you complete these fifteen challenging questions, feel free to talk about your results in the comments. Which of the following is NOT a valid border-style property value? You can see all the border-style property values by reading the “4.2. Line Patterns: the ‘border-style’ properties” section in W3C CSS Backgrounds and Borders Module Level 3 specs. Which of the following is NOT a valid CSS length unit? cm and mm are absolute length units. em is a font-relative length. What is the CSS selector which allows you to target every element in a web page? Related:Should You Reset Your CSS? There are several ways to hide an HTML element with CSS. Setting the visibility property of the element to hidden will hide the element. The element will still occupy space equal to its geometric size in the web page. For example, if the hidden element’s dimensions are 100x100px, you will see an empty 100x100px space in the area where the element is located. Hiding an element can also be accomplished by assigning opacity: 0 to an element. Hiding an element without maintaining the space it occupies in the web page can be done by setting the element’s display property to none. Setting display to none renders the element as though it doesn’t exist. There are 16 basic color keywords in CSS. Which of the following are NOT basic color keywords? cyan is a valid color keyword. But it’s not one of the basic color keywords. The cyan color keyword is documented as being part of the extended color keywords. The font-style CSS property has four different valid values. Three of these values are inherit, normal, and italic. What is one other valid value? Read the font-style docs on MDN to learn more about this CSS property. Which of the following two selectors has a higher CSS specificity? What is the ideal order of the following pseudo-class selectors in a stylesheet? An element can match multiple pseudo-class selectors at the same exact time. That is the reason why the order of the pseudo-classes above is crucial. We know that if two selectors are equal in specificity, by default, the selector farther down the stylesheet wins. One situation where you can clearly see this issue is via a hyperlink element. Suppose that you hover your mouse pointer on the link, and then click on the link without moving your mouse afterwards. This situation means the link matches both :hover and :active selectors. So if the :active style rule is above the :hover style rule — for instance — users will never get to see the :active style rule applied. This is because the :hover style rule will always overwrite it. Related: To learn more about this subject, read CSS Link Pseudo-classes. Also, find out why the :visited pseudo-class is weird. When using media queries, which of the following is NOT a valid media type? You can find all the valid media types in the Media Queries W3C specs. voice is not a valid media type. Though there is a speech media type. There are five generic font family values that can be assigned to the font-family property. Three of them are listed below. What are the other two generic font family values? Learn about the generic font families in greater detail by reading “3.1.1 Generic font families” in CSS Fonts Module Level 3. What is the color keyword that will always be equal to the calculated color property value of the selected element/elements? The benefit of using the currentColor keyword is that we only need to change the color value in one place. We can just change the value of the color property, and the change will cascade to the other properties. This keyword works much the same way as CSS variables. Read “4.4. currentColor color keyword” in the CSS Color Module Level 3 to learn more about this color keyword. Which of the following is NOT a valid CSS unit? ch and rem are font-relative length units. turn is an angle unit. px is an absolute length unit. dpcm is a resolution unit. s is a time unit. hz is a frequency unit. Which of the following color keywords has NOT yet been proposed in a W3C specification? See section “5. Named Colors” of the CSS Color Module Level 4 Editor’s Draft to find all the current proposed color keywords. What is the CSS at-rule that can allow you to define the character encoding of a stylesheet? UTF-8 should always be used as your CSS file’s character encoding. If this is the case, then you don’t need to declare a @charset rule. 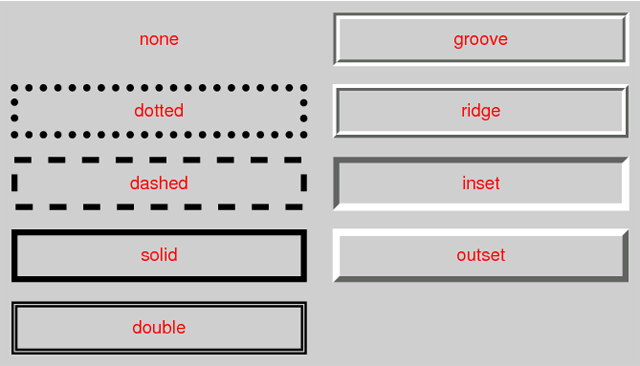 See this guide to learn more: Declaring character encodings in CSS. How many questions did you answer correctly? Which questions gave you a tough time? Share your thoughts in the comments. 06/07/2015: Question 4 was corrected so that the opacity property is also a valid answer. Thanks and credits to Carl for pointing this out in the comments. Should Web Designers Know HTML and CSS? Alexander Dawson is a web designer/developer and book author specializing in web standards, accessibility, and UX design. Learn more about him over at his personal site, HiTechy.